human-environment interactions, sustainability, woodfuel production, human ecology, bioenergy, biomass, firewood, charcoal, forest replacement associations, Brazil, Nicaragua, Latin America. Woodfuel is an important energy source for many developing countries. At the same time, unsustainable woodfuel production can be a cause of forest degradation and eventually deforestation when demanded by unregulated markets. 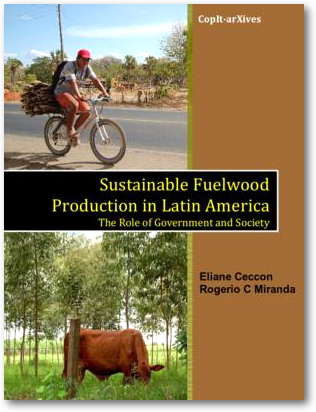 Most of sustainable forest management approaches for woodfuel production are theoretical, with only a few successful cases in Latin America. One of these are the Forest Replacement Associations (FRA), which are a nonprofit civil association that promote woodfuel production in small and medium farms and has been extensively tested during the past 20 years. 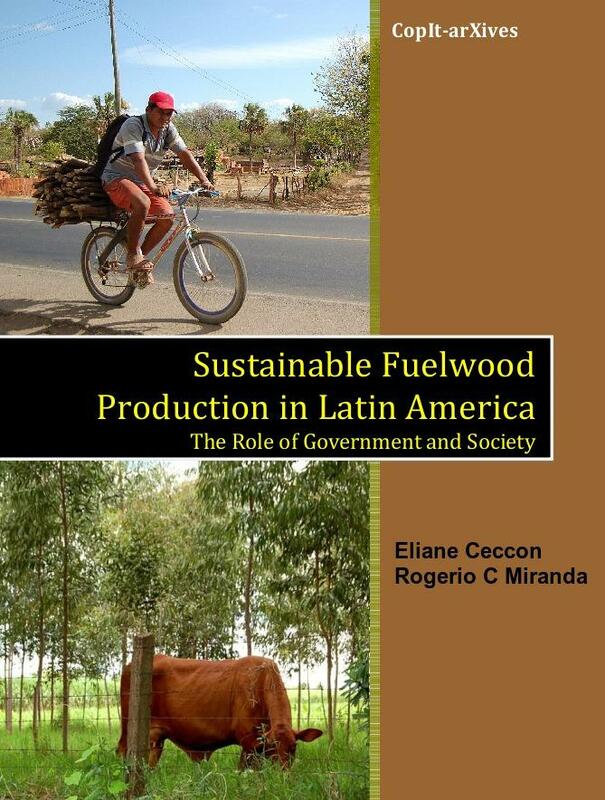 The main objectives of this book is to review some experiences of sustainable woodfuel production emphasizing the FRA in Brazil and Nicaragua, including field visits and semi-structured stakeholder interviews, to extract the lessons learned and the potential challenges in their future implementation as sustainable forestry strategies elsewhere. Eliane Ceccon is a world recognized expert in Human-Environment Interactions and Sustainability. Her research interests include Ecosystems Restoration, Sustainable Woodfuel Production and Human Ecology. She graduated from the Universidade Federal de Paran� in Brazil in Forest Eng. where she also obtained a MSc in Forest Sciences. Eliane earned a PhD in Ecology from the Universidad Nacional Autonoma de Mexico. Currently she is a full-time researcher at the CRIM-UNAM in Mexico. Rogerio C. Miranda is a top world leader in the development and manufacturing of improved biomass stoves in Latin America. He has received three distinguished awards: the global ASHDEN award on sustainable energy in United Kingdom in 2003; the national Home Planet award in Brazil in 2004; and the USAID award of Appreciation in 2006. Rogerio was most recently a Senior Official with the World Bank in Washington, D.C., where he oversaw a portfolio of bioenergy projects across Africa. Currently he is the President of PROLENHA and the Technical Director of Ecofog�o, both in Brazil. All property rights of this publications belong to the authors who, however, kindly grant autorization to the reader to copy, print and distribute his work freely, in part or in full, with the sole conditions that (i) the authors names and original title be cited at all times, (ii) the text is not modified or mixed and (iii) the final use of the contents of this publication must be non commercial.